A great deal of concern exists about what some people are calling a "real estate tax" buried deep in the reams of paper that comprise the Patient Protection and Affordable Care Act. Section 1411 of the Internal Revenue Code, enacted through the reconciliation process under which the act was passed, quickly led to a slew of chain emails proclaiming "if you sell your house after 2012, you will pay a 3.8 percent sales tax on it." While the statement is not accurate for many (or even most) taxpayers, some real estate investors and certain taxpayers with adjusted gross incomes over $200,000 will find that IRC Section 1411 does impact them. It is important to recognize that IRC Section 1411 is not a real estate transfer tax, but a tax on net investment income. It is also important to understand that the tax levied under Section 1411 does not apply to joint filing married taxpayers with less than $250,000 in modified adjusted gross income or single taxpayers with less than $200,000 in modified adjusted gross income. For taxpayers with modified adjusted gross income exceeding the aforementioned thresholds, the 3.8 percent Medicare tax will be levied on the lesser of their net investment income or the difference between their modified adjusted gross income and the relevant threshold amount. Net investment income is defined to include gross income from interest, dividends, annuities, royalties, and rents and net "gain (to the extent taken into account in computing taxable income)" from the disposition of property. There is an exclusion in the tax code of $250,000 for individual filers and $500,000 for qualified married filers for gain from the sale of a primary residence. As a result, for married filers, the first $500,000 in gain from the sale of a primary residence is not subject to the 3.8 percent Medicare tax, even if the taxpayers have a modified adjusted gross income greater than $250,000. This means that a couple that had $400,000 in modified adjusted gross income, and sold for $1 million a house they purchased for $400,000, would pay $3,800 in tax on the sale (3.8 percent on $100,000 of gain above the $500,000 exclusion). A different result would occur if the house being sold were a second home or vacation home because there is no exclusion from taxation for the gain associated with such sales. The same couple would pay the 3.8 percent tax on the entire $600,000 of gain from the sale of the vacation home, equating to a federal tax bill of $22,800. Because the tax is levied on net investment income, it also will have an impact on taxpayers whose modified adjusted gross incomes are above the appropriate threshold amounts with income from interest, dividends, annuities, royalties, and rents, regardless of whether they sell real estate in a given tax year. Therefore, a taxpayer making more than the relevant threshold for modified adjusted gross income set forth in IRC Section 1411, who is not a real estate professional and who owns a rental property, will be subject to the Medicare tax. However, qualified real estate professionals will not be subject to the 3.8 percent Medicare tax on their rental income because it will be treated as active income, rather than passive income. In order to be treated for tax purposes as a real estate professional, one must spend more than half of his or her time in qualified real property trades or businesses and perform more than 750 hours of services in such trades or businesses. Where services are performed as an employee, the taxpayer must own at least a 5 percent ownership interest in the business for the services to count toward the real estate professional qualifications. The effect of the new Medicare tax gets even more complicated once estates, trusts, or pass-through entities such as partnerships, limited liability companies, and S corporations become involved in the equation. If you believe your income or a potential transaction might subject you to the new Medicare tax, contact an accountant or tax attorney to ascertain how your individual circumstances might affect applicability of this tax. 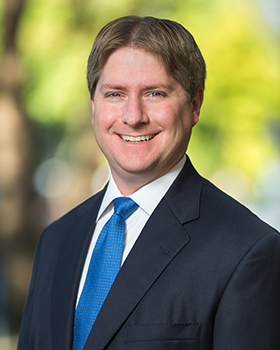 Victor Roehm is a member of Sussman Shank's business group. He has more than 10 years of experience in real estate and corporate transactional work. Contact him at 503-227-1111 or vroehm@sussmanshank.com.